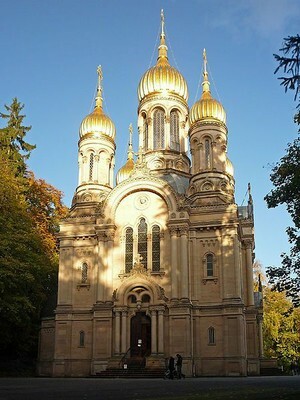 After the fall of the Ottoman Empire and the Bolshevik revolution in Russia, Orthodox believers gave new life to places such as Berlin, Prague, and particularly Paris, where two theological institutes, St. Sergius and St. Denys, were founded which tried to preserve the heritage of the home churches and to explore new possibilities of missionary activity in the West . This process can best be understood by looking at the diaspora before the First World War. 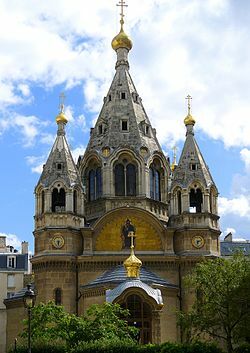 The first purpose-built Russian Church in Paris , dedicated to St. Aleksandr Nevskii (ca. 1220–1263) , was opened in 1861 and served the Russian nobility and merchants. 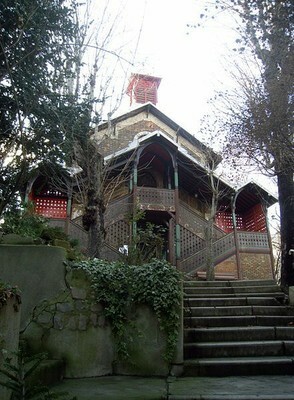 The first organised Orthodox community in Paris had, however, been formed by the Romanians. In the 1850s a priest, Archimandrite Josaphat Snagoveano (ca. 1797–1872) , came to Paris. Snagoveano was in exile as a result of the abortive revolution of 1848, and in late 1853 he founded a Romanian Chapel, which came under the authority of the Metropolitan of Bucharest in 1860.3 Meanwhile, a Greek-speaking congregation had formed in Marseille, and its church, completed in 1845, was the first Orthodox church built in France. Its construction was financed by a group of Greeks from the Black Sea region who had moved to France following the French Revolution in 1789. The communities in France prior to around 1920 were in general too small for there to have been any real conflicts between different jurisdictions, and each migrant church sought links with its home Patriarchate or Metropolitanate. These churches can be seen as typical ethnic churches, serving the needs of expatriates. In Britain, the situation was similar. Already in the early 17th century, there had been a growing Anglican interest in Orthodoxy, and the Patriarch of Constantinople, Kyrillos Loukaris (1572–1638) ,6 requested Anglican support against the inroads of the Jesuits in the Mediterranean area. The first church for the Greek Orthodox community in Britain was built in 1681, but owing to conflicts within the community it was not able to fulfil its role, and until 1850 believers were dependent on the chapel of the Russian embassy. In the second half of the 19th century the Greeks, with support from politically independent Greece,7 established their own church structure. Generally, the Orthodox communities in France, Germany, and Britain were small, and exercised hardly any influence on other churches or on Western societies as a whole. 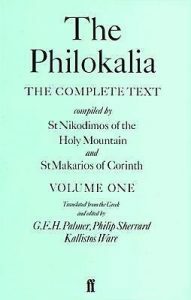 Although, in the 18th century, some Western works were translated or edited into Greek by St. Nikodemos of the Holy Mountain (1748–1809) , there was very little direct contact between Western and Eastern theologians,8 and no Orthodox theology was conducted in Western Europe. Owing to their focus on their own members (if they looked outwards, it was to their motherlands), the communities did not consider internal Orthodox unity when they established their first juridical links. Berlin was initially important also for economic reasons, since the weakness of the German currency in the early 1920s meant that life was relatively cheap, and many of the leading émigré publishing houses were established in Berlin, printing works by people like Berdyaev. 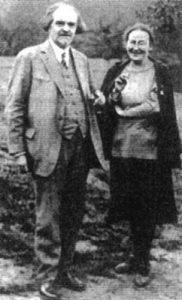 It was also Berdyaev that helped to start a religious academy in Berlin, where lectures and discussions took place, hoping to prepare for the fall of Bolshevism and the restoration of a “true Russia”. These kinds of setting were an important semi-formal platform for the discussion of theological ideas, and much of the Orthodox theology that emerged from the late 1920s and early 1930s onwards was first shared and debated in one of the myriad of small groups and seminars that existed in the various centres of “Russia outside Russia”. However, the major centre of Orthodoxy in the West by the end of the 1920s was Paris. Apart from the development of the two theological institutes, to which we will return below, a major feature of Orthodox life in Paris was the various seminars organised especially by Berdyaev. These were a development of what had begun in Berlin, but had in fact much deeper roots, going back to pre-Revolution Russian circles.12 In Paris, Berdyaev initially brought together Orthodox, Protestant, and Catholic theologians in seminars meeting first in the Russian Centre, and then at his home in the suburb of Clamart. These seminars, attended by Catholics like Jacques Maritain (1882–1973) and Étienne Gilson (1884–1978) , or Protestants like Wilfred Monod (1867–1943) and Marc Boegner (1881–1970) , saw, for example, some of the first presentations of Florovsky’s thinking on Neo-Patristics that was to come to dominate 20th-century Orthodox theology in the West. 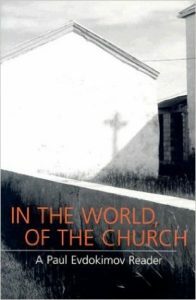 Much of the theological thinking emerged, then, from highly contextual settings, where academic rigour was combined or confronted with the reality of a violently uprooted community struggling to find meaning and identity in a new world. The new theological development among Orthodox believers in the West can best be traced through the mission of the two theological institutes established in Paris, St. Sergius and St Denys. The renewal the professors at these institutions brought from their homeland included the fruits of Hesychast spirituality13 contributing – together with the Slavophile movement14 – to the recovery of the Church Fathers, providing not only access to their texts, but also a mentality infused with the same Spirit . The Patristic – or later Neo-Patristic – School in emigration, represented by Florovsky,15 Vladimir Losskii, Fr. Alexander Schmemann (1921–1983) , and Fr. John Meyendorff (1926–1992) , was originally connected to these other currents of revival. 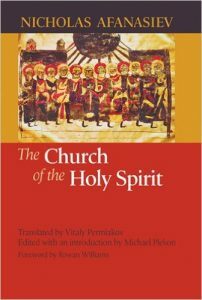 From the Slavophile circles, another desire emerged, namely to find and share the specific Russian spiritual, philosophical, and theological contribution, as distinct from the Byzantine or Western approaches. Here, Ivan Kireevsky’s (1806–1856) view of integral knowledge16 and Aleksei Khomiakov’s (1804–1860) notion of sobornost’ 17 as the foundation of church life continued to have influence in the West, despite the fact that Slavophilism had been discredited by the idea of pan-Slavism and its political ambitions. The first centres of Orthodox theology in the West emerged from the Russian Orthodox émigré communities. The Bolshevik Revolution in Russia caused juridical splits in the western Russian Orthodox diaspora. In 1925 Evlogii (1868–1946) , the Metropolitan of Russian Orthodox Churches in Western Europe,23 strongly supported by the YMCA among others, founded the St. Sergius Theological Institute. Classes at the institute were in Russian, and its students were recruited exclusively from Orthodox circles. 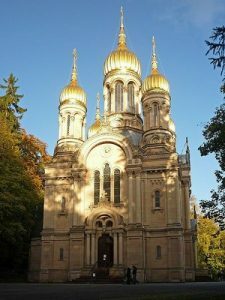 At St. Sergius, different theological directions present in pre-revolutionary Russia came together. Bulgakov, the first dean and head of the dogmatic theology department, worked on his Sophiology. Apart from this theological contribution, Bulgakov was also a very gifted pastor who gathered around him a wide-ranging group of spiritual children, including Mother Maria Skobtsova and Fr. Dimitri Klepinin (1904–1944) , both later canonised. Florovsky, who initially trained as a lawyer, became professor of patristics, and inspired many of his students, including Schmemann and Meyendorff, through his interest in the works and lives of the Church Fathers, whom he saw as the only authentic source for the renewal of Orthodox theology. His programme of Neo-Patristic synthesis was accompanied by an attempt to reflect on the new forms of Orthodox mission in the West. Both Bulgakov and Florovsky will be given more detailed attention later in the text. Similar interests to those of Florovsky were pursued by Fr. 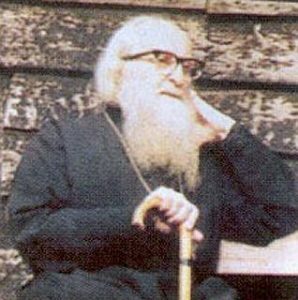 Archimandrite Cyprian Kern (1899–1960) , professor of patristics and liturgy, and Fr. Nicolas Afanassieff (1893–1966) , professor of canon law. Florovsky’s and Schmemann’s positions were complemented by others, such as Meyendorff or Jaroslav Jan Pelikan (1923–2006) , who provided more finely nuanced approaches to the balance of variety and unity, change and continuity.48 However, the subsequent generations of Orthodox Neo-Patristic scholars derived from them the inclination to evaluate current development in Orthodox theology not so much as an authentic continuation but rather in terms of a “pseudomorphosis” of Christian tradition. Thus, while we can say that rediscovering a creative way to the roots and to the living tradition represented by the Greek Church Fathers of the early centuries and by the Byzantine Fathers was one of the main achievements of Orthodox theology in the 20th century, at the same time it has led the Orthodox Church in diaspora to a curious position. Leaving behind what the Neo-Patristic theologians called “Western or Babylonian captivity”,51 in other words, dependence on 17th and 18th century Catholic and Protestant neo-scholastic theological language and categories, it claimed superiority over the West, while seeking for new and authentic ways of living in the West, and finding its mission amidst Western political, cultural, intellectual, and spiritual traditions. The émigré theologians referred to the church’s celebration of the liturgy as a time of interruption in their lives filled with hardship and loss. Alexander Schmemann saw the holistic vision of the Church Fathers rooted in liturgy where, he says, all our existence is included in the “all embracing vision of life”.52 Schmemann’s liturgical and sacramental theology was indebted to the eucharistic theology of his Paris teacher, Fr. Nicolas Afanassieff, who transposed Khomiakov’s notion of sobornost’ to the new context, in which the Orthodox Church was a minority and had to search for its identity as independent of the political, social and cultural Orthodox milieu.53 For Schmemann, theology grows from the liturgy, in which he finds the unifying principle of faith and life. Liturgy celebrates the symbolic unity between the world and Christ and reveals God’s plans for creation. The church is rooted in and bound up with the world throughout history, in the created goodness, in the fall, and in the rising. At the same time it is a passage to the new creation, to the Kingdom of God. One of the fruits of the Neo-Patristic renewal was the rediscovery of the theology of St. Gregory Palamas (1296–1359) , and in particular his religious epistemology. Florovsky, but also later in particular Meyendorff and the Romanian theologian Fr. Dumitru Stăniloae (1903–1993) saw in Palamas a viable alternative to neo-scholasticism, with its metaphysical order of mediating the divine. The distinction between the inapproachable divine essence and approachable divine energies helped them to see how a Palamite position could help in defending the direct experience of the uncreated glory and the ontological participation in God.57 While Stăniloae practised the Jesus Prayer and other aspects of Hesychast spirituality he found in Palamas and in the Philokalia, which he also translated into Romanian, this was not true of the Neo-Patristic scholars living in the West, including Florovsky and Meyendorff. To them, liturgical spirituality was the only viable option, and in fact, they regarded attempts to revive the Hesychast practices with suspicion. They appreciated more what they saw as the historical importance of Palamism, namely that it saved Orthodox theology from the victory of nominalism and, as a result of that, from secularism. Losskii was criticised by other Neo-Patristic scholars for introducing an element of agnosticism into Orthodox theology that could relativise the Church’s dogmatic teaching. This criticism, however, was largely based on a misunderstanding of his works. On the other hand, it can be said that his theology was an important counterpoint to the tendencies to historical reductionism in the Neo-Patristic movement. Perhaps also for this reason, he influenced subsequent generations of theologians, either directly or through his disciple Olivier Clément. The anthropological and cosmological questions have been part of Orthodox émigré theology since its beginnings. They are present in Berdyaev’s existentialism and in his concept of freedom, in Bulgakov’s Sophiology, in the Neo-Patristic balance of salvation with deification, in Afanassieff’s eucharistic ecclesiology, Schmemann’s liturgical and sacramental theology, Evdokimov’s theology of beauty, as well as in Hesychasm. Each movement represented a different facet of, and help in understanding, the human being’s place in the world and participation in God, solidarity with and responsibility for other humans as well as for the rest of the created world. Olivier Clément, who was one generation younger and converted to Orthodoxy from agnosticism, at first perceived anthropology also existentially, from “the noise of absence”.61 By this he means loss of the sense of mystery of God by secularised people when, paradoxically, it still can be encountered in nature,62 which can remind us of the lost grounds of our relational existence. These grounds are best seen embodied in the person, free from self-centredness, whose knowledge comes from the union of heart and head, and who becomes an unlimited place where God is. Clément himself found this with the Hesychast startsy.63 He admired their refusal to cling to the self. Later he elucidated that a transformed humanity was possible because God descended in Christ to our utmost poverty, and by bearing our flesh he enabled us to become bearers of the Spirit, and in this way fully human.64 For this purpose, we were created in the image of the Holy Trinity, an integral unity calling for unity with the creation in God.65 Deification and humanisation thus become one movement, and in this movement humans are also reconnected with the rest of the world. Like Mother Maria Skobtsova, Clément seeks the practical expression of this journey. Theology, spirituality, and ethics are for him three different ways of speaking about one reality, each of their contributions being vital. The practice of Hesychasm has become more established, helped by the legacy of Archimandrite Sophrony (1896–1993) , and the Monastery of St John the Baptist he founded in England.67 Orthodox theology and spirituality in particular continue to reach far beyond the Orthodox communion, due to figures like Metropolitan Kallistos Ware, Bishop of Diokleia (born 1934) or Fr. Andrew Louth (born 1944) , professor at Durham University. The presence of such people is also a reminder of the importance of the interaction with other branches of the Christian Church which have occurred as a result of Orthodoxy’s move to the West. 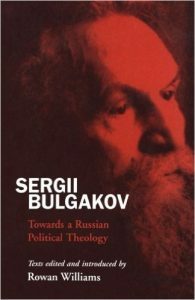 Sergej N. Bulgakov was a participant in the very first meeting of Faith and Order at Lausanne in 1927, and later Florovsky was to take an active part in the meetings of Faith and Order and was a key founding member of the World Council of Churches (WCC). Both of them were also regularly involved in the Fellowship of St. Alban and St. Sergius, founded in 1928, which brought together especially Anglicans and Orthodox. There were also contacts with Roman Catholics, as mentioned above, with Berdyaev playing a leading role.68 These encounters were to have a significant effect on Roman Catholic theology, especially in France. Many of the representatives of Nouvelle Théologie had contacts with Orthodoxy – most noticeably Yves Marie-Joseph Congar (1904–1995) and Jean Daniélou (1905–1974) .69 This influence was also greatly to affect the Second Vatican Council. There was also at least an indirect link with Pope John Paul II (1920–2005) through Emmanuel Mounier, for whom the contact with Berdyaev was so important. This mutual interaction shows no sign of coming to an end, and the exchange of gifts between the various denominations, at least on a theological level, continues to bear fruit. idem: Dream and Reality: An Essay in Autobiography, London 1950.
idem: Freedom and the Spirit, San Rafael 2009.
idem: The Russian Idea, Hudson, NY 1992.
idem: The Meaning of History, San Rafael 2009. Bezobrazov, Sergii (Cassian): Principi pravoslavnogo izuchenija Sv. Pisanija [Principles of Orthodox Research of Holy Scripture], in: Put’ 13 (1928), pp. 3–18. idem: The Orthodox Church, Crestwood, NY 1988.
idem: The Comforter, Grand Rapids, MI et al. 2004.
idem: The Lamb of God, Grand Rapids, MI 2008.
idem: Sophia: The Wisdom of God: An Outline of Sophiology, Hudson, NY 1993. Clément, Olivier: L’autre soleil: Quelques notes d’autobiographie spirituelle, Paris 2010.
idem: The Art of the Icon: A Theology of Beauty, Redondo Beach, CA 1993.
idem: St Gregory Palamas and the Tradition of the Fathers, in: Sobornost 4 (1961), pp. 165–176. idem: Vizantiiskie Otcy V-VIII [Byzantine Fathers of the 5th–8th Centuries], Paris 1933.
idem: Vostochnye Otcy IV-go veka [Eastern Fathers of the 4th Century], Paris 1931.
idem: Ways of Russian Theology, Belmont, MA 1979, vol. 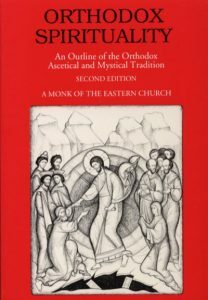 1.
idem: Orthodox Theology: An Introduction, Crestwood, NY 1978.
idem: Byzantine Theology: Historical Trends and Doctrinal Themes, New York, NY 1979.
idem: Living Tradition: Orthodox Witness in the Contemporary World, Crestwood, NY 1978.
idem: Towards a New Monasticism II: Life Without Limits, in: Richard Pevear et al. (eds. ): Mother Maria Skobtsova: Essential Writings, Maryknoll, NY 2003, pp. 96–103. idem: The Poor in Spirit, in: Richard Pevear et al. (eds. ): Mother Maria Skobtsova: Essential Writings, Maryknoll, NY 2003, pp. 104–106. A propos de l’église catholique orthodoxe de France: Questions posées par six théologiens orthodoxes (Père Cyrille Argenti, Père Boris Bobrinskoj, Olivier Clément, Michel Evdokimov, Nicolas Losskii, Jean Tchekan), supplément au Service Orthodoxe de Presse (SOP) 39 (June 1979), document 39.A, pp. 1–18. idem: For the Life of the World: Sacraments and Orthodoxy, Crestwood, NY 1998.
idem: Liturgy and Life: Lectures and Essays on Christian Development through Liturgical Experience, New York, NY 1993.
idem: Liturgy and Theology, in: Thomas Fisch (ed. ): Liturgy and Tradition: Theological Reflections of Alexander Schmemann, Crestwood, NY 1990, pp. 49–69. idem: Russian Theology 1920–1972: An Introductory Survey, in: St. Vladimir’s Theological Quarterly 16,4 (1972), pp. 172–194. Arjakovsky, Antoine: La génération des penseurs religieux de l’émigration russe: La revue “La Voie (Put’)”, 1925–1940, Kiev et al. 2002.
idem: Ruské počátky životní pouti matky Marie Skobcové [The Russian Beginnings of the Life Journey of Mother Maria Skobtsova], in: Ivana Noble et al. 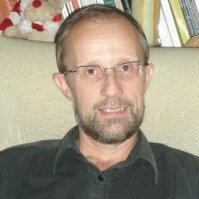 : Cesty pravoslavné teologie ve 20. století na Západ, Brno 2012, pp. 312–326. idem: Válka a výzvy postavit se na stranu obětí [War and the Challenge to Stand on the Side of the Victim], in: Ivana Noble et al. : Cesty pravoslavné teologie ve 20. století na Západ, Brno 2012, pp. 312–326. idem: Zkušenost a teologie ruských emigrantů, in: Ivana Noble et al. : Cesty pravoslavné teologie ve 20. století na Západ, Brno 2012, pp. 259–296. Besse, Jean-Paul: L’église orthodoxe roumaine de Paris, au cœur du Quartier Latin, Paris 1994. Chaillot, Christine (ed. ): Histoire de l’église orthodoxe en Europe occidentale au XXe siècle, Paris 2005. Destivelle, Hyacinthe: Le Père Congar et l’orthodoxie russe: Un dialogue de vérité, in: Bulletin de littérature ecclésiastique 106,4 (2005), pp. 377–400. Famerée, Joseph: Orthodox Influence on the Roman Catholic Theologian Yves Congar, O.P. : A Sketch, in: St. Vladimir’s Theological Quarterly 39,4 (1995), pp. 409–416. idem: Between the “Return to the Fathers” and the Need for a Modern Orthodox Theology, in: St. Vladimir’s Theological Quarterly 54,1 (2010), pp. 5–36. Kovalevsky, Maxime: Orthodoxie et Occident: Renaissance d’une église locale, Suresnes 1994. Nichols, Aidan: Theology in the Russian Diaspora: Church, Fathers, Eucharist in Nikolai Afanas’ev (1893–1966), Cambridge et al. 1989. Noble, Ivana: Ruské pravoslaví vstupující do moderní doby, in: idem et al. : Cesty pravoslavné teologie ve 20. století na Západ, Brno 2012, pp. 99–102. idem: Sofiologie, in: idem et al. : Cesty pravoslavné teologie ve 20. století na Západ, Brno 2012, pp. 103–107. idem: Znovuobjevení hesychasmu, in: idem et al. : Cesty pravoslavné teologie ve 20. století na Západ, Brno 2012, pp. 85–90. Noble, Ivana / Noble, Tim: A Latin Appropriation of Christian Hellenism: Florovsky’s Marginal Note to “Patristics and Modern Theology” and its Possible Addressee, in: St Vladimir’s Theological Quarterly 56,3 (2012), pp. 269–288. Papanikolau, Aristotle: Tradition or Identity Politics: The Role of the “West” in Contemporary Orthodox Theology, in: Theologia 3,4 (2010), pp. 18–25. Struve, Nikita: Soixante-dix ans d’émigration russe, Paris 1996. See Torke, From Muscovy 2009, p. 66. See Besse, L’église 1994; Tim Noble, Pravoslavná misie v Americe 2012. See Metropolit Augoustinos von Deutschland, Orthodoxie in Deutschland 2002. See Thon, Der historische Weg 2000. See Haynes, Greek Nationals 1979, p. 180. 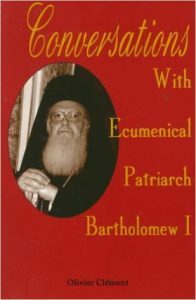 Patriarch Kyrillos, who was Ecumenical Patriarch on six separate occasions between 1612 and 1638, has been called the Calvinist Patriarch, because of his apparent emphasis on more Calvinist forms of doctrine, especially as expressed in his Confessio. Following years of revolt, which began with the uprising in 1821, Greek independence was recognised in 1832. Theology in Russia was heavily influenced by Western sources, but there was almost no reciprocal contact, with the exception of the interest of Catholic scholars such as Goa, Renaudot, or Assemani in Eastern liturgy, who collected and translated manuscripts, which led to a deeper knowledge and understanding of the sacraments. This was admittedly related to the idea of a “return” to Rome, present in the Roman Catholic Church since the Council of Ferrara-Florence in the 15th century. 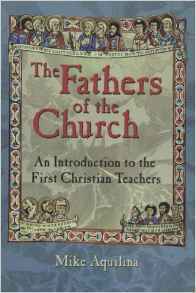 At the same time, however, their work came as a challenge to established Catholic theology. For more detail, see Bauerová, Zkušenost 2012. See Andreyev / Savický, Russia Abroad 2004, pp. 80–116. This movement then played a central role in France, and most of the emigré theologians participated in it. Later it was known as Action Chrétienne des Étudiants Russes (ACER). See on this congress, Struve, Soixante-dix ans 1996, pp. 78f. ; Zwahlen, Das revolutionäre Ebenbild 2010, pp. 82–84. The circles in Russia gathered mainly around universities and included those who wished to combine Russian religious philosophy and efforts for the social reform of the country. See Nichols, Theology 1989, p. 25; Ivana Noble, Ruské pravoslaví vstupující 2012. See idem, Znovuobjevení hesychasmu 2012, pp. 85–90. See, for example, Noble / Noble, A Latin Appropriation 2012. Kireevsky published his concept of integral knowledge for the first time in the Moscow Review of 1852. 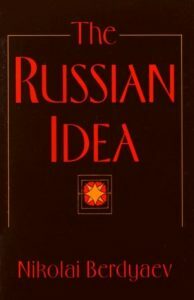 Another important source is his study On the Necessity 1998, which first appeared shortly before his death in the journal Rus. See also Christoff, An Introduction 1972. See in English, Khomiakov, The Church 1968. See Berdyaev, Dream 1950, pp. 86–107, for an overview. 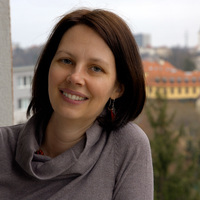 See Ivana Noble, Sofiologie 2012. Florovsky places modern Russian religious thought (apart from the first return to Patristics) under one all-embracing category: Russian Religious Renaissance. He takes the term itself from Zernov, The Russian Religious Renaissance 1963, but gives it a new negative meaning. For him especially, slavophilism and sophiology are attempts to transpose tradition to the categories of modernity, which according to him led not to an authentic development of tradition but to its “pseudomorphosis”. The Russian Religious Renaissance thus represents for him a history of errors. See Florovsky, Ways 1979, pp. 17f. ; cf. Blane, Georges Florovsky 1993, pp. 60–68, 110f. See, for example, Cunningham, A Vanquished Hope 1981. See Bauerová, Počátky 2012; idem, Cesta 2012; idem, Válka 2012; and Forest, Mother Maria Skobtsova 2003. 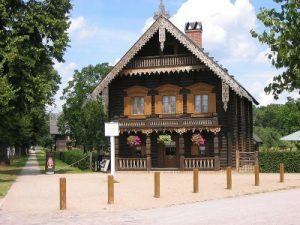 The Metropolia had operated since 1921, when Patriarch Tikhon appointed Evlogii (formerly bishop in Kholm) as head of the Russian Orthodox Churches in Western Europe; in 1931, due to the political situation in Russia, it went under the Ecumenical Patriarchate. See Szczesniak, The Russian Revolution 1959, pp. 244f. Besides the Metropolia, there were a separate Russian Orthodox Church in Western Europe under the Moscow Patriarchate and the Russian Orthodox Church outside of Russia (ROCOR), politically supportive of autocratic Tsarism, seeing itself as the authentic continuation of the Russian Orthodox Church, but with close ties to the Serbian Patriarchate. See, for example, Afanasieff, The Church 2007. 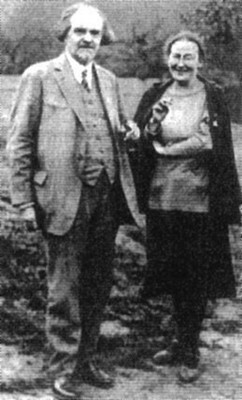 See Kern, Kriny molitvennye 1928. See Schmemann, Russian Theology 1972. Kartašev, Vethozavetnaja Biblejskaja Kritika 1947. See for example Bezobrazov, Principi 1928. See the inaugural address of the first rector Eugraph Kovalevsky: Kovalevsky, Inaugural Adress 1994, p. 125. See Giocas / Ladouceur, The Burning Bush Group 2007. Unfortunately, when Metropolitan Evlogii moved back under the Ecumenical Patriarchate, this cooperation was no longer possible. See Kovalevsky, Inaugural Adress 1994, p. 125. See Clément, L’autre soleil 2010, pp. 120, 135, 139–154. This was not a case of rediscovering a complete ancient text but of organising fragments into a liturgical structure which stood on the border between Eastern and Western traditions. See A Propos de l’ Eglise Catholique Orthodoxe de France 1979. See, e.g., Berdyaev, Dream 1950, pp. 46, 288f. See, for example, idem, Destiny 2009; idem, Freedom 2009; idem, The Meaning 2009; idem, The Russian Idea 1992. See also Lowrie, Christian Existentialism 1965. See Tim Noble, Springtime in Paris 2012. See also Arjakovsky, La génération 2002. See on this Bauerová, Zkušenost 2012, pp. 284–293. See, for example, Bulgakov, Bride 2002; idem, The Comforter 2004; idem, The Lamb 2008; idem, The Orthodox Church 1988; idem, Sophia 1993. See also Pain, A Bulgakov Anthology 1976. See Florovsky, Patristics and Modern Theology 1938, pp. 6–7; idem, Ways 1979, p. 18. See, for example, idem, Vostochnye Otcy 1931; idem, Vizantiiskie Otcy 1933. See Schmemann, For the Life 1998, p. 146. See idem, Liturgy and Life 1993, pp. 13f. ; idem, The Eucharist 1987, p. 34; idem, Liturgy and Theology 1990, pp. 51f. See Meyendorff, Byzantine Theology 1979, p. 1.
ibidem, p. vii, see also pp. 115–120; idem, Living Tradition 1978, p. 8. See Kalaitzidis, Between the “Return to the Fathers” 2010, especially pp. 7–8; idem, Challenges 2009, espcially pp. 163f. See, e.g., Fisch, Liturgy and Tradition 1990, p. 53. See Schmemann, Liturgy and Theology 1990, pp. 51f. 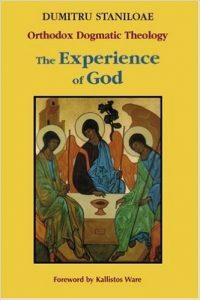 See Afanasieff, The Church 2007; Nichols, Theology 1989. See Evdokimov, The Art 1993. 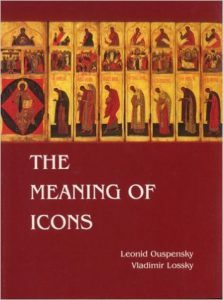 See Ouspensky / Losskii, The Meaning 1982; Ouspensky, Theology 1992. Stăniloae made the first translation of Palamas’ texts into a modern language and accompanied it with a monograph: Stăniloae, Viața și învățătura 1938. This was followed by two important studies by Meyendorff, Introduction 1959 and idem, St Grégoire Palamas 1959. George Florovsky also wrote a study: Florovsky, St Gregory Palamas 1961. See Losskii, Orthodox Theology 1978, pp. 32f. ; idem, The Mystical Theology 2005, pp. 238f. See Mother Maria Skobtsova, At the Heart of the World 2003.
idem, Life without Limits 2003; idem, The Poor in Spirit 2003. Clément, L’autre soleil 2010, pp. 11f. See St Athanasius, Οn the Ιncarnatiοn 1891, p. 8. See Clément, On Human Being 2000. 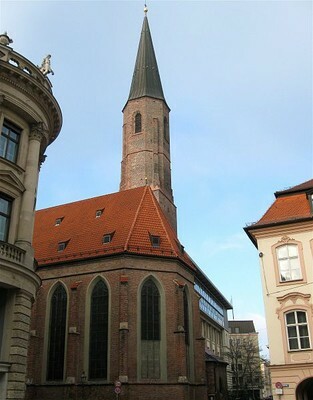 In Germany, there are Orthodox centres at the Universities of Munich (http://www.orththeol.uni-muenchen.de/index.html [25/03/2013]) and Münster (http://www.uni-muenster.de/CRS/OT [25/03/2013]). In Great Britain, there is a centre in Cambridge (the Institute of Orthodox Christian Studies: http://www.iocs.cam.ac.uk [25/03/2013]), whilst at the VU University in Amsterdam, there is the Amsterdam Centre for Eastern Orthodox Theology: http://www.aceot.nl [25/03/2013]. See also Noble / Noble, A Latin Appropriation 2012, for the encounter between Florovsky and British Jesuits at the Faith and Order meeting in Edinburgh in 1938. On Congar’s interaction with Orthodoxy, see, for example, Famerée, Orthodox Influence 1995; Destivelle, Le Père Congar 2005. This article is part of the research project “Symbolic Mediation of Wholeness in Western Orthodoxy”, GAČR P401/11/1688. This entry was posted in Anthropology, History, Religion. Bookmark the permalink.